In every disaster, big or small, people are waiting for someone to help, for someone to see them. The elderly, families with young children, individuals with disabilities, and people with little or no insurance often have no where to turn, no way to pay for repairs. That’s where NECHAMA steps in, bringing comfort and hope through our disaster response teams. 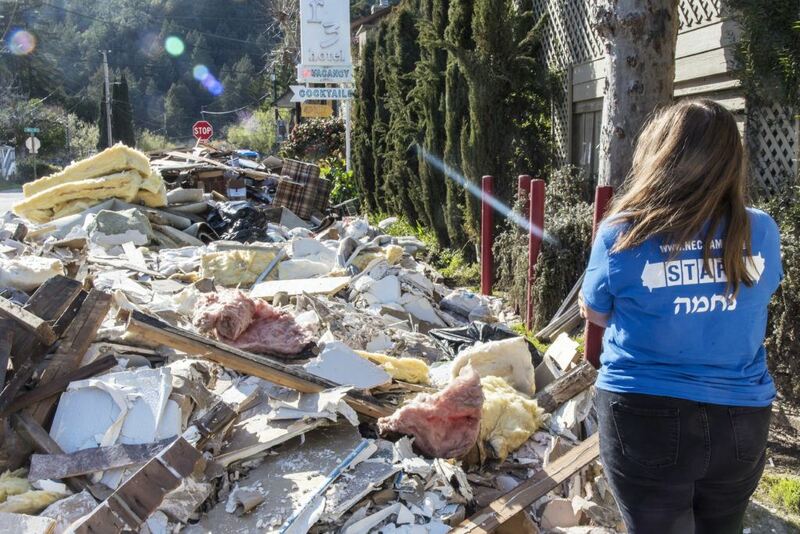 Our list of people waiting for help in Sonoma County is growing, but without funding we can’t take action and help them begin to recover from the extensive flood damage. We need your support today! One month of work will cost $60,000. This includes tools, equipment, materials, staff costs, food, lodging, and other associated expenses. Funding is the only thing keeping us from taking action. Your donation today brings us that much closer to bringing help, hope, and comfort to families in need of assistance.